The release of A PLACE OF RAGE (1991) was a groundbreaking moment. Featuring essential interviews with Angela Davis, June Jordan and Alice Walker, the film captured the idea of "intersectionaility" long before it became part of our lexicon. Within the context of civil rights, racial and social justice, Black power and feminist movements, the trio reassess how African-American women such as Rosa Parks and Fannie Lou Hamer revolutionized American society. 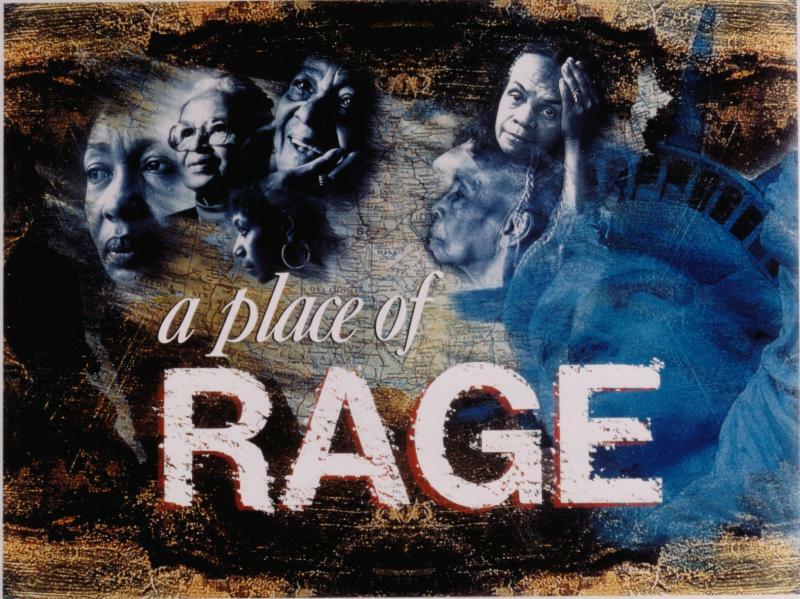 In celebration of A PLACE OF RAGE's approaching 25th anniversary, this special edition DVD features new bonus material - a never before seen interview with scholar, icon and activist Angela Davis, and the late author and poet June Jordan reading her powerful piece A Poem About My Rights. "I've been showing A PLACE OF RAGE in my classes on race, gender and sexuality in U.S. history for over a decade, and it always has a powerful impact... The film makes a powerful case for the central place of African American women in creating a broadly imagined social justice movement--the kind of movement we need now, as desperately as ever." "It is one of the most teachable films I know...The sheer historicity of the film make this a treasure trove for all current generation of students who have increasingly become distant from Civil Rights...it is the only film that locates feminists of color within a broader understanding of our politics." Also by Pratibha Paramar, ALICE WALKER: BEAUTY IN TRUTH tells the compelling story of author and activist Alice Walker, who made history as the first black woman to win the Pulitzer Prize for fiction for her groundbreaking novel, The Color Purple. Mixing powerful archival footage with moving testimonials from friends and colleagues such as Howard Zinn, Angela Y. Davis, Gloria Steinem, Beverly Guy-Sheftall, Quincy Jones, Steven Spielberg and Danny Glover, ALICE WALKER: BEAUTY IN TRUTH offers audiences a penetrating look at the life and art of an artist, intellectual, self-confessed renegade and human rights activist. *Use code RAGEE15 at checkout to apply your discount. Only applies to institutional orders. Cannot be combined with any other offer, other exceptions may apply. Offer expires 12/3/2015.